Roni Lang was our "Kallat Bereisheet" (Bride of the Torah portion of Genesis) last week on Simhat Torah. Here is what she had to say about volunteering and her expereince at TBE. It’s a real honor to be recognized on Simchat Torah as Kallat Bereishit, along with Allan, as Chatan Torah (who is in real life is my Chatan). I became a member of Temple Beth El 18 years ago, when I married Allan, so this is my “chai” year of membership. Allan cinched the deal for me to relocate to Connecticut, from California, with a marriage proposal and my very own pew seat in the sanctuary. For all these 18 years, the Beth El clergy and congregants have been here for our family, through simchas and tsuris. Rabbi Hammerman married us; my daughter, Gabrielle, attended Merkaz Torah and was confirmed here; about one year ago, the Rabbi married Gabrielle and Jeremy. So the beat goes on. It didn’t take long for me to find that TBE could also be my own spiritual home. I made new friends, started attending Temple events, and felt — more and more — a part of the TBE community. I joined the women’s book discussion group, participated in Sisterhood Shabbat , got the opportunity to present a D’var Torah, and with encouragement — or rather, a firm push — from Rabbi Hammerman, I became the chair of the adult education committee. Working with a great committee, we planned some interesting programs. One of the most memorable programs was on Jewish medical ethics. My work with adult education morphed into my becoming co-chair of the Synaplex committee again, thanks to Rabbi Hammerman’s suggestion. (This time, the rabbi gave me a gentle nudge.) Working as chairwoman of the Synaplex committee continues to be a source of satisfaction for me, as the committee tries to promote fresh and innovative ways of worshipping, celebrating Jewish holidays and festivals, and studying and discussing important aspects of Jewish life. I work with a great committee and staff and committee members have now become friends. A colleague at worked asked me why I volunteer at my temple and what does it do for me. I’m bored and need to be busy…. I’m a pretty busy person so why then add another dimension to my life? • Precisely because it is another dimension. Like Shabbat , volunteering at TBE adds another aspect to my spiritual life. It makes me more connected to my religion, and the community. 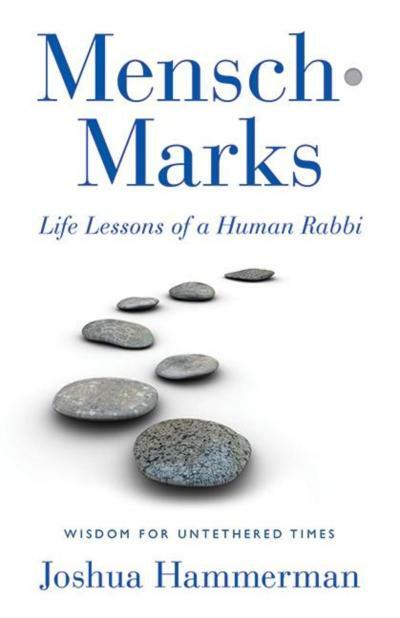 • Rabbi Janet Marder wrote that being a member of a synagogue brings us out of the narrow circle of self-concern and help open us to the needs of others." I think volunteering at synagogue widens the circle even more. • Volunteering leads to spiritual and emotional growth too. I hope to continue to volunteer in programming and leadership roles at TBE, as participation is both an honor and a privilege. CAMERA vs. the New York Times and "60 Minutes"
The Top Five Jewish Things about "Glee"